Spirited wedding planner Kelsey McKenna juggles a sabotaged wedding and a cold-blooded killer in beautiful California wine country in this hilarious follow-up to Terror in Taffeta. Wedding planner Kelsey McKenna just signed on to a dream gig. She’s going to be the “day-of” coordinator at the beautiful Higgens Estate in California wine country. There’s only one problem: the wedding was originally planned by Babs Norton, the self-proclaimed Queen of Wine Country Weddings, who the father of the bride has fired. Kelsey decides to clear the air with Babs and make sure there are no hard feelings, but before she can throw herself into executing the perfect wedding, she discovers Babs dead on the floor of his office. Stefan, Babs’ assistant is quick to point the finger very publicly at Kelsey. Even worse, Kelsey learns that with the big day only weeks away, the bitter little man has sabotaged her new clients’ wedding by canceling all the vendor contracts. With the help of her friend Brody and assistant Laurel, Kelsey must scramble to salvage the wedding while dodging gossipy wedding planners, grumpy winemakers, and a cold-blooded killer in this smart, funny cozy perfect for fans of Carolyn Haines. This book follows Kelsey McKenna as she works as a wedding planner, when she finds herself a new client she learns quickly that their previous wedding planner got fired by the brides father and the wedding planner is Babs Norton who has no problem with Kelsey taking over. Even offering to give Kelsey the file on the couple what Kelsey wasn't counting on was stumbling on a dead Babs. Kelsey finds herself a suspect in the death of Babs due to Stefan a co-worker of Babs is quick to blame Kelsey for stealing clients and killing Babs. Kelsey is determined to find out who killed Babs and why? Was it the Bride Haley's father being upset with Babs or was it a sister who had to share her inheritance with Babs or could it be her co-worker Stefan? I enjoyed this story and reading about what wedding planners do to plan weddings along with solving the mystery. Definitely a great page turning mystery that you won't be able to put down as Kelsey, her assistant Laurel and her friend Brody try to figure out what happened and why Kelsey's wedding is being sabotaged with cancelled vendor contracts! 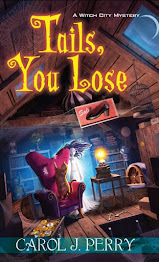 Can Kelsey fix the wedding in time and solve the mystery really held my interest. 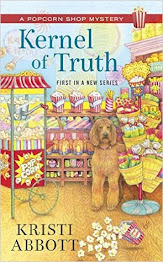 Definitely a great cozy for those who love weddings mixed in with their cozy mysteries. Can't wait to see what is next in this series! Thanks for your review! 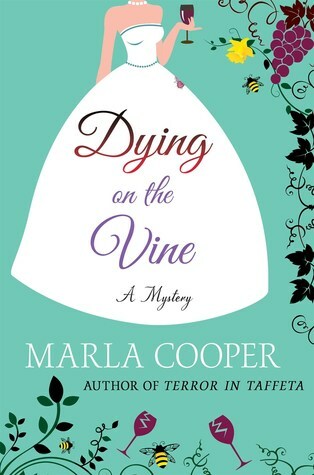 I can't wait to read Dying on the Vine!